Saint Hedwig was a duchess in Silesia, an area that overlaps current-day Poland, Czech Republic and Germany. 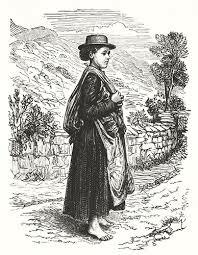 Even in the depths of winter, she insisted on showing her humility by walking to church in her bare feet. 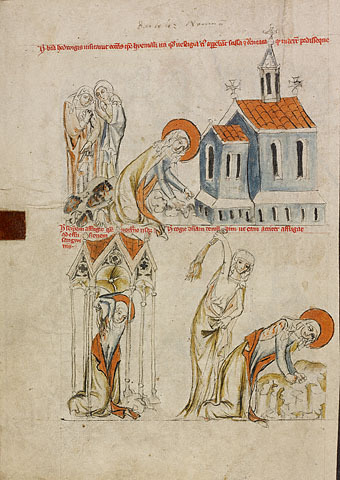 In the upper portion of this miniature image, a servant woman points in horror to the bloody footprints left behind as Hedwig walked in the snow. Below, the saint inflicts wounds on her own back, and then she appears again, clenching her fists in anticipation of the blows. In this way, Hedwig sought to prove her willingness to suffer pain for her faith. Self-inflicted pain was seen in the Middle Ages as a voluntary form of penance, a way of understanding and participating in the Passion of Christ. There is more to the Saint Hedwig story, for example, testimonies of miraculous changes of water into wine. For the details on that, check the links. 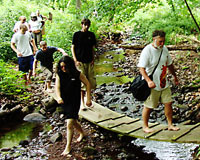 We come from all walks of life, across the globe, and simply prefer to go barefoot. We value the comfort, health benefits and sensory pleasures of barefoot living.